A section of the AWPR near Kingswells. Figures used by the Scottish Government to demonstrate the multi-billion-pound impact of the Aberdeen bypass have not been updated in a decade, it has emerged. Transport Secretary Michael Matheson has admitted that analysis predicting that the Aberdeen Western Peripheral Route (AWPR) would bring a £6.3bn boost over the next 30 years was commissioned in 2008, before two major oil price crashes. The research forecast that the new road would create 14,220 jobs over the same period. Mr Matheson quoted the figures last month when he announced that the Craibstone to Stonehaven and Charleston section was finally to be opened to traffic. North East Tory MSP Tom Mason tabled a parliamentary question asking the transport secretary about the figures. Mr Matheson said they were from the findings of an economic activity and location impact study carried out by economists when proposals were being developed for the project, prompting further questions about when the research was carried out. It then emerged the study was published in 2008, with Mr Matheson admitting “no further work of this nature has been carried out specifically for this project”. Oil went from a July 2008 high of $147 (£111) a barrel to a low of $32 (£24) in December, and slid again from $115 (£87) in June 2014 to less than $35 (£26) in February 2016. Last night Mr Mason said it was “naive economics” not to revise the figures following the oil price downturns. 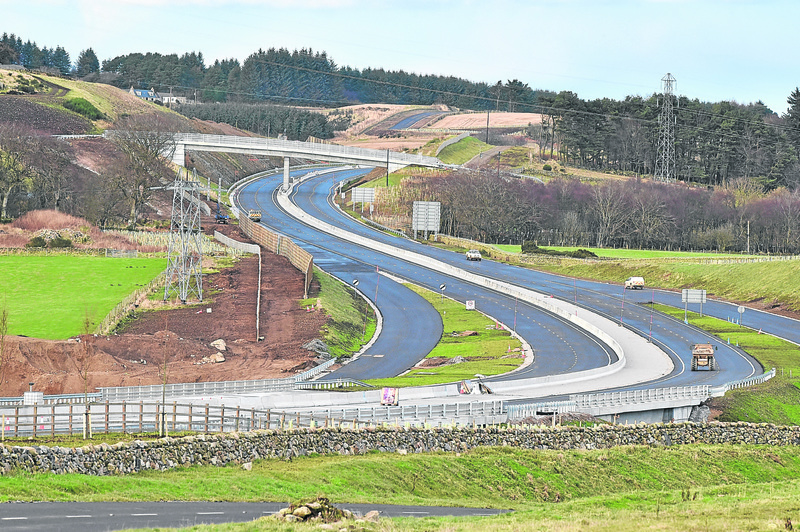 “The AWPR is a fantastic project which has eventually brought a lot of happiness to commuters and businesses who rely on the A90,” he said. A spokesman for Mr Matheson accused the Conservatives of trying to “attack” the AWPR in any way they can.